I have a prepayment meter and have been awarded the Warm Home Discount. This is great btw. However the experience of trying to obtain it after receiving the email with it's code not so much. Firstly I will say I am lucky as I live in a city so have multiple PayPoint outlets to choose from. However I found myself going on a trek from shop to shop until I found one able to issue it. The reason given each time was the "new machines limit the payout to £50" as opposed to the £140. Some shops had less PayPoint knowledge than others so would just say they've never heard of Bulb and to "jog on" in not so nice language while others tried phoning PayPoint support, but each time were on hold for so long that we all gave up. The resolution was finding a shop with an "old machine" as they do not seem to have the £50 limit. Just thought I would post this here in case anyone else had similar issues. So with the new machines, could you retrieve it in smaller amounts over multiple days, or are you a bit stuck? To be clear I was able to get mine issued by going to a shop with an older paypoint machine. The shop with the older machine did it without any issue and they confirmed that they had served several people with different energy companies citing the same experience of being told that the new machines are locked to a maximum of £50. I was told in several shops that they cannot issue the £140 unless it is in full. So they couldn't reload the card 3 times in a row and you couldn't make 3 return trips between the shop and your meter. I think they said that amounts over £50 were greyed out and unselectable on the screen. However I do not work for bulb or for PayPoint. This is only my experience of what I have been told whilst in various local shops it could just be a lack of training and understanding on how to operate the newer machines. Although to be repeatedly told the same thing in different shops suggested to me that this might be something that other people might have been experiencing too and I thought sharing it here might give people a solution if they were experiencing difficulty. I also thought that if this was an actual problem then companies like bulb need to rethink how they issue the Warm Home Discount for future times e.g. issuing multiple codes with a maximum of £50 each. Are the shop getting confused with adding the £140 as a credit? as I didn't say what it was for I just gave my reference number to the local shop and showed them instructions, something along the lines of "new issue" then option 3 to add the TAG code and it automatically credits the key, but the receipt will show 0.00 but show that the RTI has been added. Gave over a printed out copy of the bulb notification email with the code on each time. No idea what the several shops with newer machines were selecting on their screens. 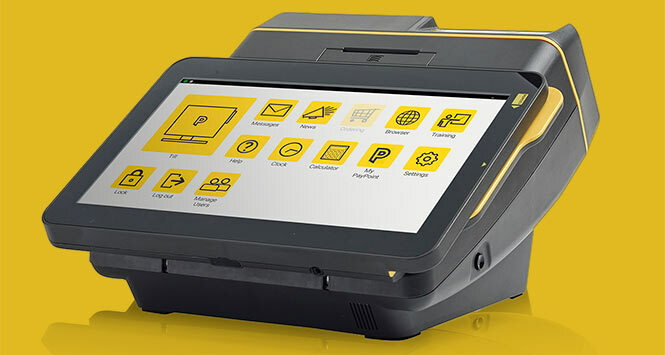 Although some of the shops having PayPoint was a recently new and some others had their PayPoint terminals upgraded (so referred to how it "used to work"). Glad you managed to get it! Personally ive been trying since January, i’ve beven given the complete runaround by both bulb and my local shops. Not helped by being given two wrong codes and not being told code is time sensitive. I have found a lovely shop who are much more accommodating than my local inept shops (quite away from me which is difficult to get to) who if had the right code could probably have added it! In the past it was so much easier with a barcode, this WHD is supposed to help their most vulnerable customers it makes me wonder why they make it so difficult and who gets the money if we can’t? Thank you @Dizzi it's useful to know that the codes are time limited because I don't think bulb said that in their notification email. This is the first time I have been eligible for WHD so I didn't know that they used to do barcodes. That does seem easier from an end user perspective as all the shops know how to scan a barcode. However I wonder whether that would change the maximum £50 thing I kept being told by shops with new PayPoint machines. Perhaps this is all just a PayPoint wide problem this year and it'll be better next year. Although I think bulb could have improved access to the WHD for prepayment customers by including PayPoint terminal instructions in a "For the Retailer" section in the notification email. So we could go in to shops with the information all in one place to prevent the problems that at least some people have had.